Unauthorized hacking is a crime in most countries. To counter it, owners of web based applications and systems employ trained professionals to test the vulnerability of their systems through various penetration techniques. This is what ethical hacking is all about. EC-Council offers the Certified Ethical Hacker (CEH) Training Course to enable information security professionals to defend systems against attacks from hackers. CEH is the most advanced hacking course that allows information security professionals to master latest hacking techniques and tools and break into a system to identify the areas of vulnerabilities and threats so that appropriate counter-steps may be taken. CEH training course is also beneficial for site administrators, security officers, auditors and anyone responsible for maintaining the integrity of a system and network infrastructure. The Certified Ethical Hacker exam (312-50) is a multiple-choice test format that includes 125 questions in a total duration of 4 hours. As of 2015, the latest version is CEH 9 although CEH V8 is also active. One may visit the EC-council website to get details on CEH V9 and CEH V8 exam cost. CEH training for both versions are provided by several reputed EC-Council Accredited Training Centers. These training courses help participants to learn the techniques to thwart the attempts of illegal hackers and safeguard enterprise networks. Illegal network intruders are continuously evolving their techniques. Currently, there are more than 270 attacks that are being used by hackers worldwide. 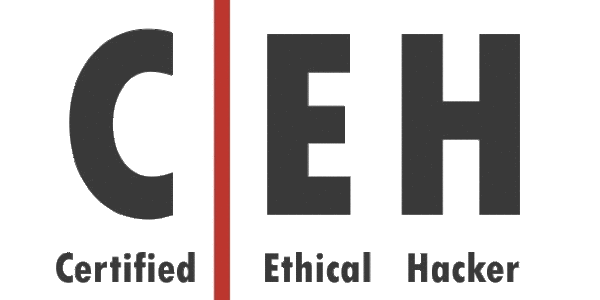 In order to equip Certified Ethical Hackers with necessary expertise and tools, CEH training curriculum is also continuously updated to include the most advanced hacking methodologies. Emphasis on Cloud Computing – With more and more businesses and organizations going cloud, the focus of ethical hacking has now shifted to various hacking attacks to cloud computing platforms. Demand has increased for methodologies such as pen testing to identify threats in cloud computing in advance and for wide ranging countermeasures to thwart such attacks. As cloud reflects the current trend, inclusion of cloud specific technologies such as CloudPassage Halo is a great addition to new CEH curriculum. Mobile Platforms & Devices – Most systems and applications are today accessible across multiple browsers, and mobile platforms and devices. As a result, mobile platforms and devices such as tablet computers have emerged as a new attack vector for hackers. This trend has led CEH curriculum to include modules on mobile technologies and countermeasures to secure mobile infrastructure. Latest mobile hacking tools have gained immense importance in recent years. Heartbleed CVE-2014-0160 makes the SSL layer used by millions of websites and thousands of cloud providers vulnerable. Shellshock CVE-2014-6271 exposes the vulnerability in popularly used shell – Bash for nix based operating systems. Poodle CVE-2014-3566 lets intruders decrypt SSLv3 connections and hijack the cookie session that identifies the user to a service, thus enabling them to gain control of user’s account without needing the password. Latest Trojan, Virus and Backdoors. Hacking such as system hacking, sniffing, foot printing, enumeration, scanning, DDoS attack etc using the mobile phones. Knowledge and thorough understanding of Information Security Controls and Information Security Laws and Standards are now an integral part of Certified Ethical Hacking. Inclusion of security issues for latest operating systems such as Windows 8.1. Addition of more labs simulating real time scenarios to provide hands-on experience of the hacking world. The latest CEH V9 addresses each of these trends to help information security professionals stay updated with the latest trends in the form of new attack vectors, new vulnerabilities and advanced techniques. In today’s widely expanding digital world, hackers can attack us from any place and at any time. This threat is a growing concern for organizations, people, governments and every entity that has a digital presence or is connected to the World Wide Web. The only solution that is available to all of us is – exploring every possibility of such attack by continuously looking for the weak links and ensuring appropriate countermeasures. This is what a Certified Ethical Hacker does. No wonder, the demand for CEH professionals is robust and is growing every day. More and more organizations across the world, both governmental and commercial, are hiring professionals with CEH certification. This promises a very bright future for anyone who aspires to be or is preparing for CEH certification. It is a great job choice for the present as well as future. A CEH can easily earn on an average a remuneration of $15,000 to $ 45,000 per assignment depending on the specifics of the client environment. CEH v9 is the most current edition providing a wider coverage in terms of attack vectors and most advanced technologies. If you are looking for the latest in ethical hacking, CEH v9 is an excellent option. In order to attend the course program and take the Certified Ethical Hacker exam, candidates must have at least two years IT experience with a strong working knowledge of TCP/IP, Windows Server (NT, 2000, 2003, 2008, 2012) and a basic familiarity with Linux and/or Unix. CEH examination costs around US$500 for the actual test and $100 as a non-refundable fee for registration in United States. This is applicable to CEH v7 and CEH v8 exam costs as well. The price may differ in other countries. Give your career a flying start in the thriving IT security industry by earning Certified Ethical Hacker certification. You have really shared superb posts on this site. Thanks & keep sharing wonderful post. Glad you liked the post Ravi. We’ll make sure we keep up the good work and keep informing you about the stuff that matters.